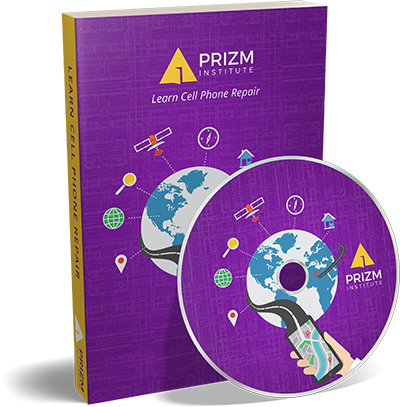 Prizm Institute provides cell phone repair training through a book for students who do not have a trade school in their vicinity or do not have the time to attend classes. The cell phone repair book written by a team of professionals has simplified cell phone repair to a great extent. It is written bearing in mind ease and simplicity so that it is just a cakewalk to learn and take up repairs as a career. This is one of the best books available to learn cell phone repairs. It explains cell phone repair techniques better than a regular guide or a service manual. The package comes along with a video DVD. All the theory lessons are explained in the book while the practical lessons are explained in the DVD. This book is suitable for not only professionals and hobbyists, but also novices who do not even have basic knowledge in electronics. Dropouts and even those who have not attended any regular school will find it easy to understand. At Prizm institute, we aim to simplify technical studies, so we have prepared the training material in such a manner that it is easily understandable and practicable. After completing the study material, you should be able to repair all types of smartphones and tablets including iPhones and Samsung Galaxy phones. Procedure for troubleshooting of faults. We ship the package worldwide. You should receive the package within 7 working days after the payment.